Kathleen Quinn Votaw is CEO of TalenTrust, which is revolutionizing how companies find, keep, and grow great people. After nearly two decades of earning accolades in the staffing industry, Kathleen determined that traditional models don’t always serve the best interest of clients—especially rapidly growing companies. She vowed to disrupt the stagnant staffing/recruiting industry. In 2003, Kathleen launched TalenTrust to act as a strategic partner in helping companies Solve the People Puzzle™. The firm’s expert team collaborates closely with executives to identify the root causes—and often interrelated issues—behind a company’s human capital challenges. Clients of TalenTrust achieve a positive culture and attract employees who are aligned with leadership’s vision. The firm’s solutions include People Puzzle Gap Analysis, Cultural Alignment & Engagement Strategies, Assessments, Outsourced Strategic Recruitment, Compensation Analysis, Behavioral Interviewing, Onboarding, and Systems and Processes for Efficiency. Kathleen’s passion for growth allows her to connect business leaders with the right people and ideas to drive faster growth. Her success is based on a core belief that people and relationships are critical to business success. As a long-time Vistage member, Kathleen attributes much of her firm’s revenue growth to participation in the Vistage community. 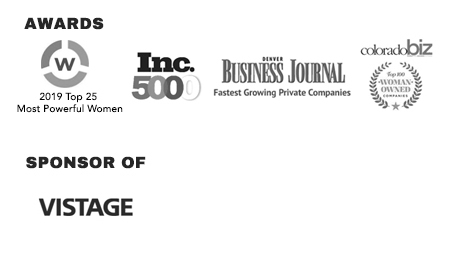 Kathleen’s firm serves clients across the U.S. and employs a team of 20+ people. In 2015 and 2016, TalenTrust was named to the prestigious Inc. 5000 list for high-growth companies. The team at TalenTrust understands the challenges of leading organizations through rapid growth, and is pleased to serve many on the Inc. 5000 list. Kathleen’s first book, Solve the People Puzzle; How High-Growth Companies Attract and Retain Top Talent was published in 2016. Kathleen speaks to CEOs about trends in talent and how to develop a people strategy. Additionally, she writes a monthly column on culture, leadership and people for CoBiz Magazine. 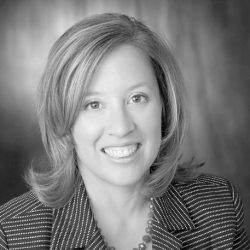 Kathleen has previously served on the Advisory Board for Colorado Companies to Watch, year-long program that celebrates and supports second-stage companies that are developing valuable products and services, creating quality jobs, enriching communities, and creating new industries throughout the state. Kathleen is a member and former Board President of ACG-Denver. The Association for Corporate Growth (ACG) helps drive middle market growth by offering members in the Rocky Mountain region access to experts and essential resources.